Used for uppers of leather boots. make different leather boots achieve better tie-on last effect. Heating temperature: 120-140 ℃, refrigeration temperature: -10, -15 ℃. 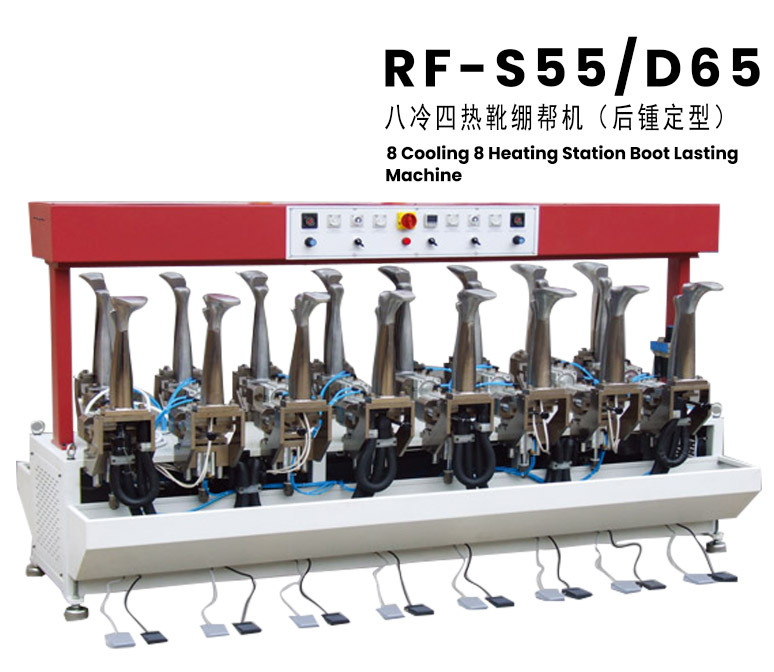 Customers can choose different working position, hot and cold combination according to their needs.